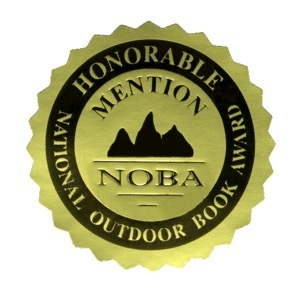 We are excited to announce that The Kids’ Guide to Birds of Minnesota, a children’s book, by naturalist and wildlife photographer Stan Tekiela won an honorable mention in the National Outdoor Book Awards. About the book: Stan Tekiela’s famous Birds of Minnesota Field Guide has been delighting bird-watchers for more than 15 years. Now, the award-winning author has created a perfect identification guide for children! 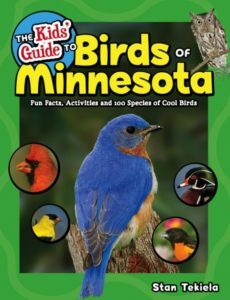 The Kids’ Guide to Birds of Minnesota features 100 of the most common and important birds to know, with species organized by color for ease of use. Do you see a yellow bird and don’t know what it is? Go to the yellow section to find out. Each bird gets a beautiful full-color photograph and a full page of neat-to-know information―such as field marks, favorite hangouts, a range map, and Stan’s cool facts―that make identification a snap. Fun bonus activities for the whole family, like building a birdhouse and participating in the Great Backyard Bird Count, make this a must-have beginner’s guide to bird-watching in the Land of 10,000 Lakes! Read more about our children’s books here. For more stories about wildlife and nature, sign up for our newsletter now!